Just east of White Rock Lake, perched on one of the highest elevations in the city. This home is an understated composition of stone, brick and stucco. With a panorama of the lake and downtown Dallas beyond, views became the primary motivation for the design. The house is an arrangement of two cores: the living core and the bedroom core juxtaposed. Spaces are strategically placed to take advantage of the views. The main living areas downstairs run east-west an the bedrooms upstairs run perpendicular north-south. 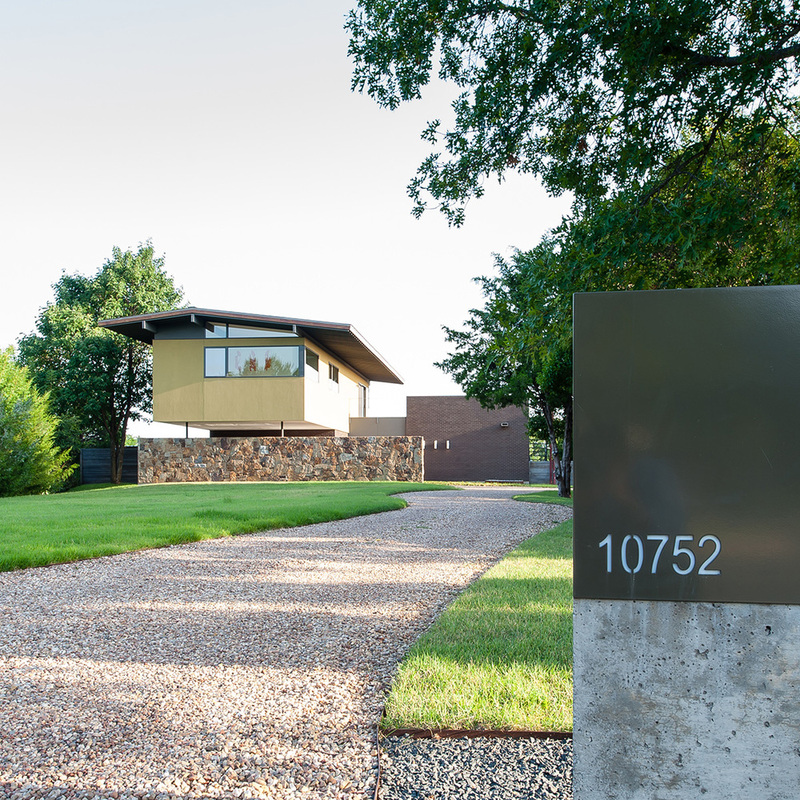 To deal with an unforgiving Texas sun, west-facing overhangs are seven feet long and south-facing views are protected with a folded aluminum plate and cantilevered structure from above. The concrete foundation are used as the finished floor and durable materials used throughout, requiring little maintenance. Acting as a natural radiant barrier, a metal roof minimized heat gain and indoor air quality was enhanced with a tight building envelope and use of a carport in lieu of an attached garage. Continuity of flowing spaces blending interior and exterior, both upstairs and downstairs, along with utilizing inherent sustainable techniques in the design truly allowed for an informal and relaxed lifestyle. General Contractor: Greg Bender Custom Homes, Inc.